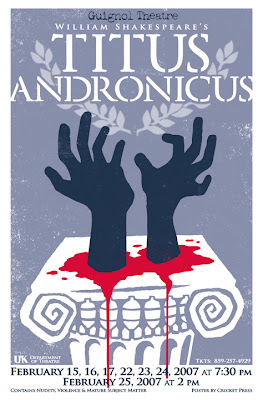 Today, I got to stop by Brian and Sara's to pick up the much-anticipated and fresh off the press posters for UK Theatre's production of Titus Andronicus, described as "Shakespeare's slasher play." I'm excited about this for many reasons. Here's what the poster looks like— but it hardly does justice to the actual printed thing. We've collectively hashed out some of the details through email, and thus, a number of strangers have seen it along the way (like on airplanes) and I delight in their responses. It's a little shocking, right? (Reason #3) Oh, the joy… UK Theater loves it. I love it. Brian loves it. As I'm prompted to say to Brian when praising his work: "People are gonna be dyin' in the streets over this!" That's an ultimate compliment, by the way. *Now, let's talk about, the Cricket Dog, Otter: He's a fine pup, what you might call a bit rambunctious. Every time I'm over at The Cricket Abode and Complex, I'm aware of savage barking coming from … somewhere in back. Apparently, the Crickets have some trepidation about their doggies and visitors, so Brian tends to sequester them when I come over. This time was different, though. I was getting out of my car and Brian popped out to the driveway and sez: "Hey, Mick, would you mind to help me with a little experiment with my dog?" I sez: "Sure!" I'm like that. Brian gives me a handful of doggie treats, and the following instructions: "When we go in the front door, DON'T MAKE EYE CONTACT and DON'T TALK TO OTTER. After a minute or two, give him these treats." Maybe I've got a bit of trepidation. Maybe I didn't tell Brian the story about the dog who nearly bit my fingers off. (another tale, another tail!) But still, I'm nothing if not game, and that's just in my blood, even if some of said blood sometimes leave my body. So we hit the front door, and as we walk in, Otter comes charging at me, full bark and growl on, a blur around me of snapping and air-nips, millimeters from my jacket and treat-clenched fist.. nnnnnnnnice doggy! niiiiice! there's barking! there's staunchness! there's guardianship! It's the things some of us most admire in the canine species. Otter isn't easing up the pressure, but Brian sez: "Okay, give him the treats!" Which has me a little worried. Still, I open up my palm, thinking, "I've got ten fingers for a reason; These five may not be totally necessary." The thing is, Otter doesn't really notice my treats and keeps barking—y'know–"GET THE HELL OUT INTERLOPER!" Brian's, like, "Look, Otter!—treats! Mick's got treats!" Otter's, like: "OUT I SAID!!" Mick's, like: "Please leave at least my thumb and forefinger…"
Minutes later, I'm drowning in dog spit. I'm getting licked to death. And after a few very tense minutes, Otter and I are BFF. What kind of day did you have, anyway? Camino de las Colinas, originally uploaded by mrtoastey. the dos vatos accomodations, originally uploaded by mrtoastey. 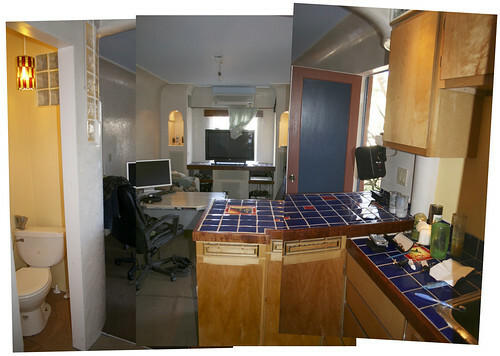 here's a quick glance at the coolness that is the Dos Vatos office in Tucson. And my bedroom on my recent visit. The Boneyard, originally uploaded by mrtoastey. here's the last of the Tucson adventure! 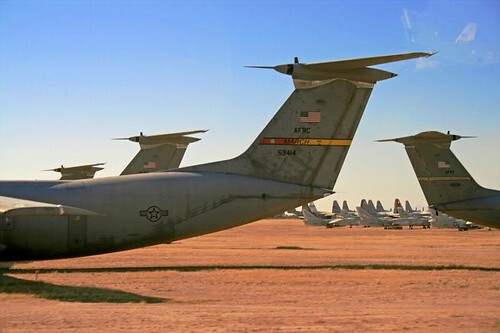 This picture is from the AMARC Boneyard, the place where military planes go to die (and be assimilated). Freaky. 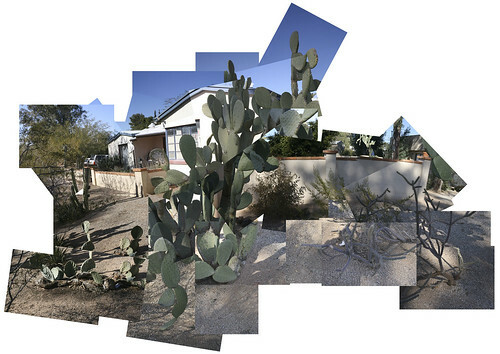 All my fave Tucson pix are in this album on Flickr! a song!, originally uploaded by mrtoastey. Eren, Max and I went to Nogales, Mexico, today and ate in a fabulous restaurant that was kind of in a cave. Kind of. 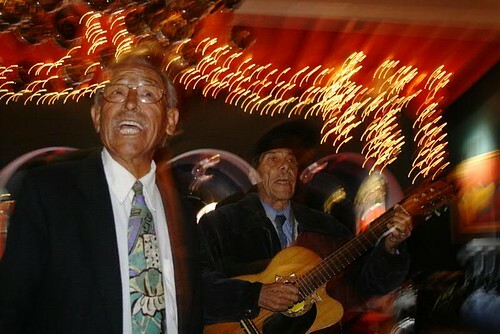 In fact, it was a wonderful wonderful place called La Roca. 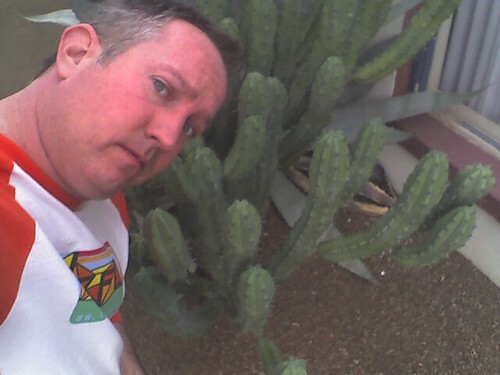 Also, I've seen cacti. Wanna see some more pictures? ari and eren's back yard details, originally uploaded by mrtoastey. I'm putting up some Tucson pix, as the week progresses... I'll just keep dumping them into this Flickr set, so check back from time to time. Overhead, F-16's are circling… which is better or worse than police helicopters in Lexington? I think better, if only for reasons of bombast. Q: Why are you going in Tucson, Mick? A: Because it’s there. Longer answer: We live in some kinda information age right? I work at home much of the time, right? On a computer on the internets, right? So it seems. That is my kind of hosting situation. It worked miracles for me a few years ago in Mexico. Now, throw in some maps, a rental car (cheap on Priceline), a guidebook, and wireless broadband—and a wealth of gizmos and their requisite power adapters—and I'm prepared to test my theory that I can be not just “away from the office,” but in fact “really really FAR away from the office” and still get the job done, yo. So that’s why I’m in Tucson. 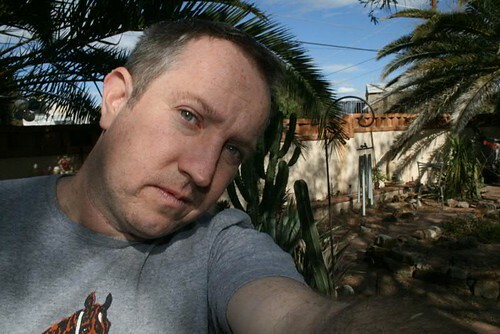 Also, to take a billion pictures, drive around in the desert and not lastly—nearly firstly, in fact—go see Giant Sand’s only hometown show of 2007…tonight at the Hotel Congress! Giant sand!, originally uploaded by mrtoastey. 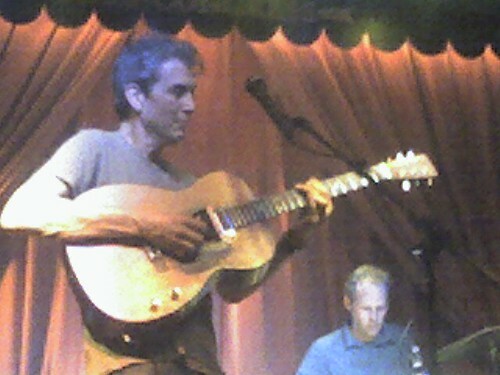 guant sand plays their only 2007 "home gig" at tucson's hotel congress. Fab show! 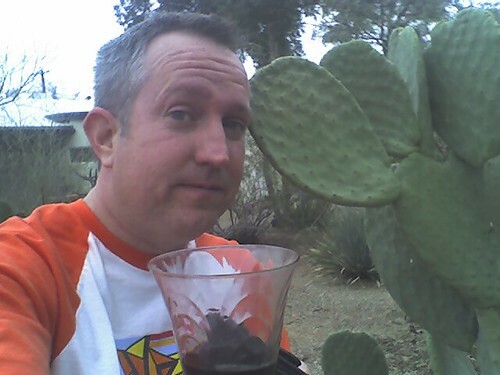 Cacti!, originally uploaded by mrtoastey. Cheers from the SW, originally uploaded by mrtoastey. 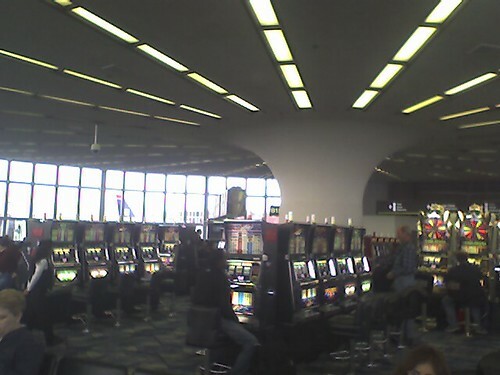 Slots at tha airppt, originally uploaded by mrtoastey. Saucy sbonyaba, originally uploaded by mrtoastey. Evil suz, originally uploaded by mrtoastey. Evil suz got a new hole in her lip, y'all! Alyssum, originally uploaded by mrtoastey. 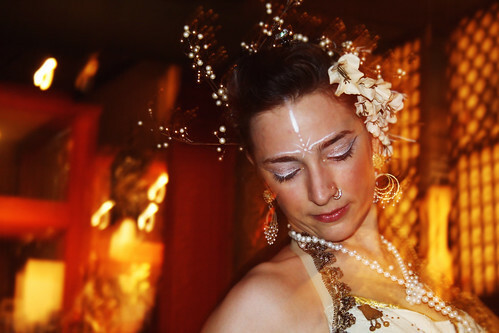 One of my more-fave pix lately of the tribal persuasion..
Pal Alyssum in town for the holidays gets the groove at Natasha's. 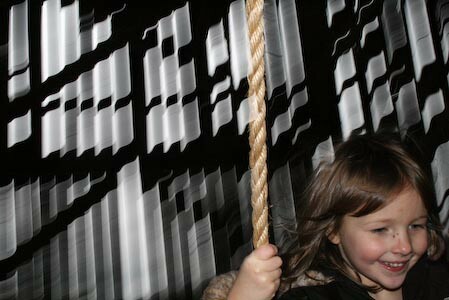 Out in the Barn, it's swingin' with Rae Lynn! Out in the Barn, it's swingin' with Rae Lynn!, originally uploaded by mrtoastey. Here, look at some pictures!